Repairing or Starting a New Lawn? See which Method is Best for You! When establishing or repairing a warm season lawn either plugs, sod and sometime seeds are used. To help you determine which is best for you here is a little information on each. 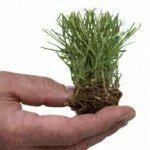 A grass plug is a square of sod that is usually 1 inch by 1 inch or larger. Plugs are usually used to establish a spreading warm season lawn. Grasses such as Zoysia, St Augustine and Bermuda are the most common grasses planted as plugs. 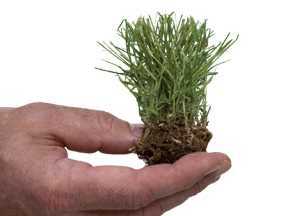 Plugs are the most economical way to start a new lawn and ideal for the homeowner to do. 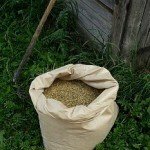 Plugging a lawn has a much higher success rate than seeds. When planting plugs, the area does not have to be tilled, you can plant within an existing lawn. Plugging a lawn does require patience while waiting for the lawn to fill in. Keep in mind the closer the plugs are planted the quicker you will have a full lawn. 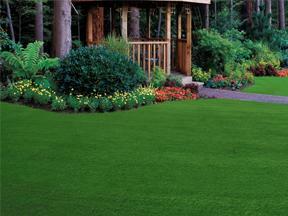 Sod will give you an instant lawn, however it is very expensive and is best done by a professional. 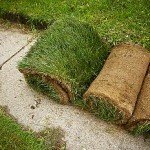 Sod is usually purchased in sheets or rolls. When laying sod, the area does have to be tilled, cleared and leveled before planting. 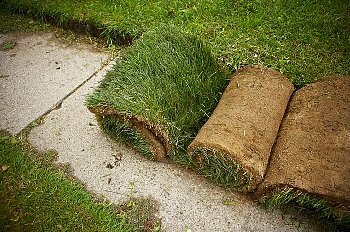 If the sod is not laid correctly it can leave an uneven lawn. 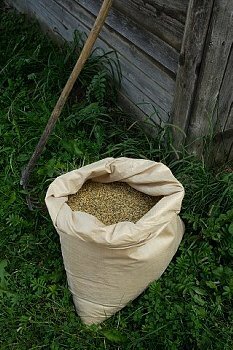 Many strains of zoysia grasses are not available in seed form. The few that are can also be expensive with a low success rate and can require a lot of care when starting. Seeding a warm weather lawn is best done by a professional. Most zoysia seeds are not as cold tolerant as the plugs and sod. All three methods will give you a great lawn. However, plugs are a great way for homeowners to successfully start a new or revive an existing lawn at an economical price!